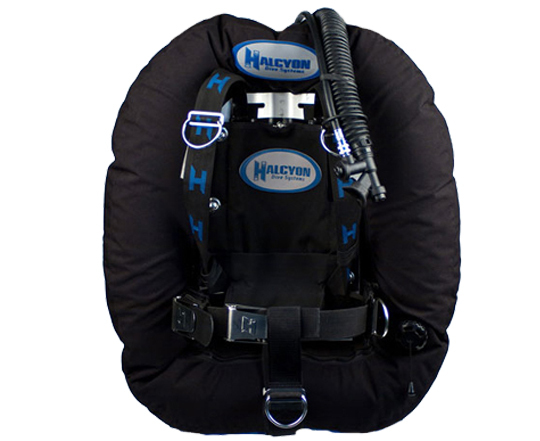 The Halcyon Evolve double tank system is available in two lift capacities, 40lbs & 60lbs, and is suitable for a variety of divers and double tank configurations. Earn up to 1169 Points. The Halcyon Evolve maintains a novel, industry first-design; this unique circular wing provides unprecedented control, allowing divers to easily fine tune their buoyancy regardless of diving position. Individuals diving in all environments will appreciate the ease of adjustment and the streamlined, cylinder hugging design of the Evolve; two different lift capacities allow easy pairing with small doubles or large, heavy steel tanks. Whether finning or scootering, the Evolve cuts through the water with less drag and greater efficiency than other wing systems, resulting in less exertion and allowing for more diving enjoyment. The Evolve Wing is available in your choice of Lift Capacity: 40lbs or 60lbs. 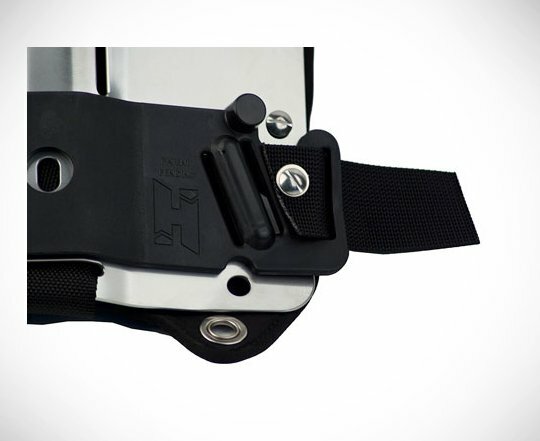 Includes inflator & 22″ LPI hose, stainless steel or aluminium backplate, in standard or small sizes, Halcyon Cinch Quick-adjust Harness Upgrade, Halcyon Storage Pak.